This book is all about desire. Nora Grey is sixteen, living in Coldwater, Maine and her best friend is Vee. What you need to know about Nora. Her dad was murdered last year and she and her mum live in an old house, outside of the suburbs, and one that attracts fog and misty weather like those spooky old houses in Stephen King country should. Oh, and one more thing, her new biology partner is a mysterious, gorgeous looking new guy called Patch. Now I’m not revealing any big mysterious secret by telling you Patch is a fallen angel. 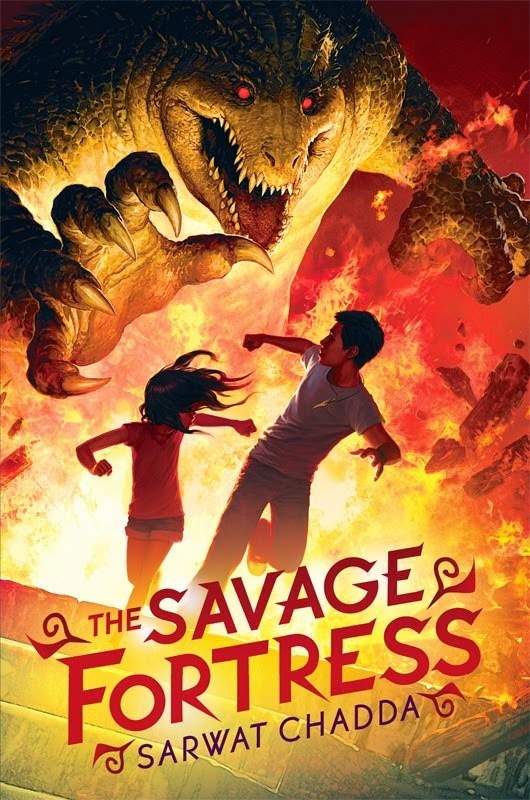 It’s on the front cover (surely one of the most iconic covers in YA). Which brings me back to desire. Nora’s smart. She knows what’s she needs and what she wants. She needs to avoid Patch at all costs. But she wants him, oh Lord, she wants him. No-one radiates sexual tension like this couple. Believe me that their feelings for one another could power a medium sized city in the Western world. The book’s less about the supernatural element (the angel reveal is way way towards the end) but the conflicting emotions of Nora, the endless circling between the two of them and the dreadful danger Patch and his world represent. What I love about Becca’s writing is she makes you believe. She makes you believe Nora can be forceful, can be independent, can be her own woman BUT Patch is irresistible. Throughout the entire book Nora’s smart, careful and wary, but Patch is a force of nature, and that’s why you cannot but help be caught in the whirlwind. Vee, the best, friend, is hilarious. She’s quick, a bit foolish and at the mercy of her teen hormones, but she’s honest. She’s the voice of honesty, of base desire. She as some of the best lines and has a love of Christian Bale, which puts her on the top of my Christmas card list automatically. Reading the book really made me remember being sixteen. It’s not that different for boys, I tell you. I can barely remember it but I remember who was hot. Tensions are raised, clothes come off. Encounters are, er, encountered. My favourite scene is the motel room. All the little bits leading up to it are subtly done and then there’s the OMG, there seems to be no going back after this night. It must rank as one of the steamiest scenes in YA paranormal fiction. In fact, I needed a cold shower right afterwards, just to calm down. That’s covered the romance bit, now to the paranormal. Patch is a fallen angel who basically lusted after a mortal. The legend is taken from the apocryphal Book of Enoch (a book that never made it into the official Bible) and concerns angels that mated with mortal women and their offspring were the Nephilim. It’s the same book I used for the plot of Devil’s Kiss, though I will admit my fallen angels are nothing but heartless and cruel predators. There’s no internal conflict with them. Patch wants to be human, and thereby hangs a tale. To do it he must kill Nora. That is the heart of Patch’s conflict. His need to be human is poignant and cruel, being based on being inhuman and having to kill, a fundamentally inhuman act. The tension with him makes Patch a truly amazing character, not some ‘just because he’s got a bike and muscles’ bad boy. He’s not a rebel without a cause. His cause is very, very serious. What would we do to be human? What defines us as human? I love this theme, Patch displays both the worst aspects of humanity, the need for love and the desire to be cruel. What other species has this problem? Seeing him stray between the two, sometimes in an instant, made me wonder how he could possible achieve his goal; it’s too alien to him. As an angel he chases something that he cannot be, not really. Mere biological function is the least aspect of being human. So with things in mind (and a mental image of Christian Bale wearing a pair of black wings) lets move on with the interview! 1. Fallen angels are a powerful metaphor for our own inability to stay on the straight and narrow path. If the chosen of God can fail, how can humanity hope to remain ‘good’? We have this failure in Patch, his desire for mortal woman, and also Nora, time and time again she puts herself in danger by seeking Patch out. There were times I wanted to shake her and tell her to go find a nice boy, like Elliot (gosh, was I wrong about that!). I’d like to know your thoughts on the theme of temptation. It seems to be at the heart of Nora’s conflicting feelings for Patch. First a disclaimer: I am terrible when it comes to identifying themes and symbolism and all that good stuff my English teachers tried to teach me, so feel free to laugh when you read the below! I think many creation-type stories, like Hush, Hush, explore the theme of temptation. It makes sense, since they all have roots in the story of Adam and Eve. We all know that good stories are made when a character desperately wants something (a bite of that forbidden apple! ), but what happens when the very thing a character wants isn't good for them? Enter temptation. I can't say I had the theme of temptation at the back of my thoughts as I wrote Hush, Hush, but I will say that there was a very specific reason the book opens in a biology classroom. I wanted to explore the very primal, very biological, power of physical attraction. The sexual tension playing out on every page between Patch and Nora filled me with innumerable questions and ideas. Is desire purely physical? What causes two people to have instant chemistry? How do two people know if they can trust each other? What in our genetic makeup draws us to one person, and warns us to stay away from another? And what if it's the same person? 2. What sort of research into angels did you do for Hush, Hush? I’m especially interested in how you came to use The book of Enoch. I always feel a little like I'm cheating when I give this answer, but I grew up attending Sunday School every week and hearing stories from the Bible. When I started writing Hush, Hush, it never occurred to me to go out and do serious research into angel mythology. I felt like I had a pretty good grasp of the angels that would be in my stories. Rather than make them like angels from the Bible, however, I wanted to make them more human. I wanted them capable of making the same mistakes we make. I wanted them to face the same challenges we face. As for the Book of Enoch, I learned about it in a World Religions class I took in college, and decided to throw it in for the heck of it. Yes, I'm the kind of writer who throws things and sees if they stick! 3. The murder of Kjirsten Halverson first appears to be an irrelevance, but ends up forming a fundamental part of the story. Like the best detective stories things can change on the smallest detail. Do you write organically, letting the story unfold as you write, or plot the entire story in detail first? I finished the very first draft of Hush, Hush in 2003, and I think it's safe to say it was organic. It was also horrible. I've learned over the years that I write best when I have a plan. The version of Hush, Hush available today was definitely pre-plotted. For me, it's very difficult to write a suspense novel, where, as you said, every clue hinges on a bigger mystery, without knowing all of the clues beforehand. 4. Tell us a bit more about Nora and Vee’s relationship. The two work brilliantly, Nora the usual voice of reason and restraint and Vee being the ‘seize the moment’ kind of gal. You’d think they’d be ready to kill one another after even one day together. 5. With such a phenomenal start to your writing career, where do you want to go next? You're making me blush, Sarwat! To be honest, I don’t feel like I deserve a fraction of the success I've had. I feel very, very lucky. 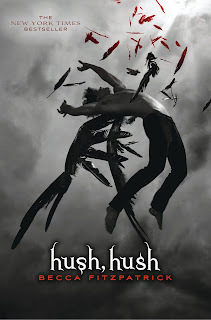 I've had a few people ask me what it feels like to be an overnight success, but I don't think they realize it took me five years to sell Hush, Hush. During that time period, I accumulated 100 rejection letters. I'm well aware that there are better writers and better stories out there, but I try not to worry about that too much. I remind myself that I'm doing what I love, and I have loyal and truly wonderful readers. It motivates me to work hard and write the best stories I can. If I can continue to keep my readers engaged in my stories, I'll call it success! 6. One of the more fun parts of publishing is deciding who goes on the front cover. Was it difficult deciding and if I gave you my sister’s email address, could you ask Drew Doyon (the model on the cover) to contact her next time he’s in London? Big thanks to Becca for joining in with this tour. Right, the next few weeks are going to be slightly chaotic, what with the US book tour and such. I've several new announcements to make and they'll be popping up over the next couple of weeks. The Kiss Me, Kill Me tour still has some way to go, with Holly Black, Ally Carter, Kiersten White, Joy Preble and Aprilynne Pike still to come. Should be a blast. 1) How about a Kiss me, Kill me box set? Kiss Me, Kill Me boxed set? Wouldn't that be cool? Oh, the Eurostar is brilliant, you should definately take a trip. 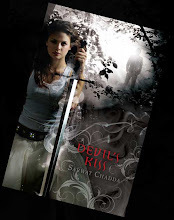 Thanks Sarwat for great interview questions - I love Hush Hush and Becca's writing style - think you nailed it in your synopsis about temptation and of course there is redemption too! Look froward to you interview Becca again!